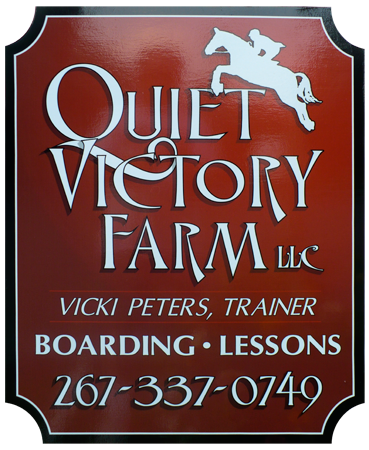 Quiet Victory Farm is a small, upscale show barn located in Central New Jersey, and was borne of a passion for horses which trainer Vicki Peters has possessed throughout her life. 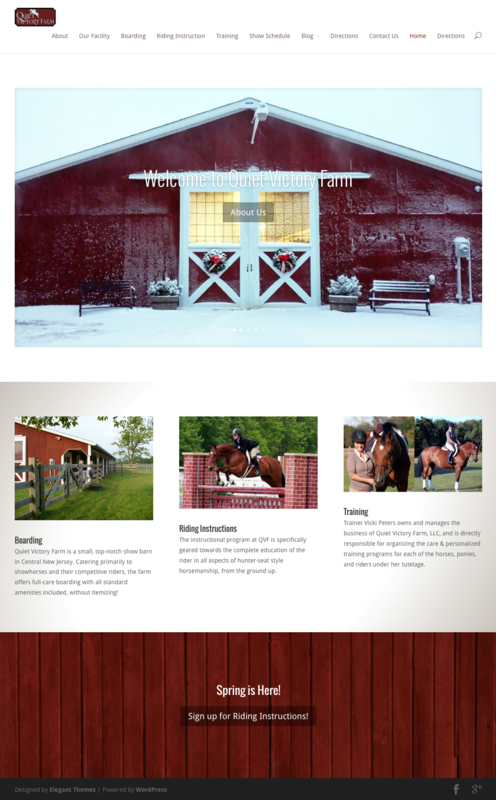 Experience a new approach to riding! 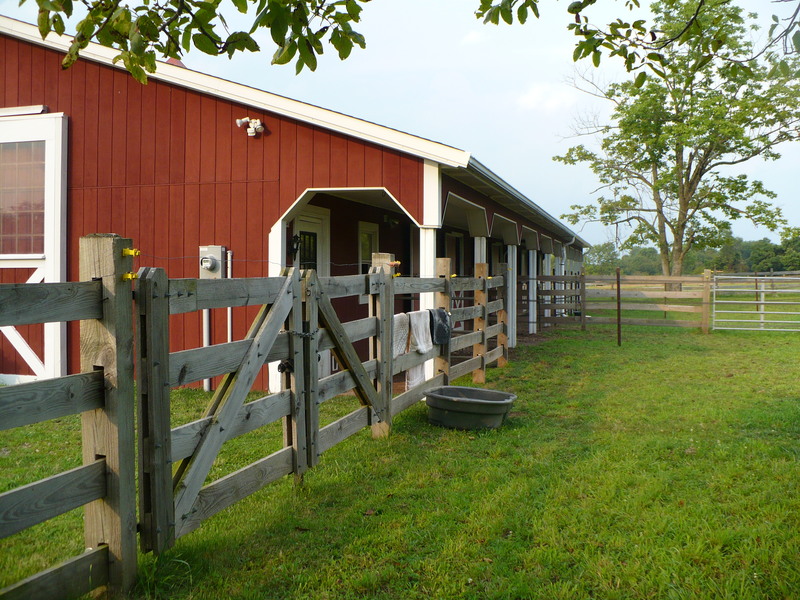 The instructional program at QVF is specifically geared towards the complete education of the rider in all aspects of hunter-seat style horsemanship, from the ground up. 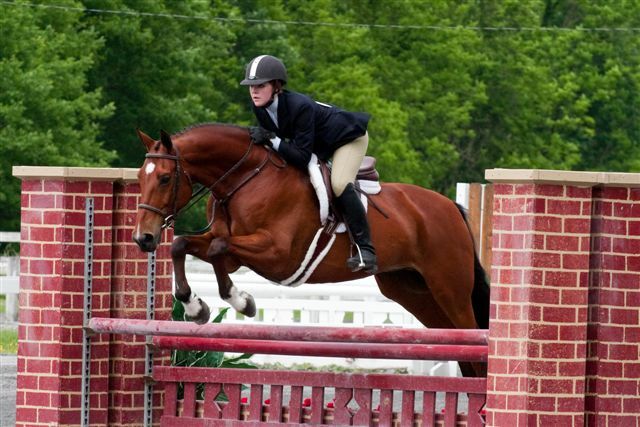 Many of our students compete on the A-rated show circuit. 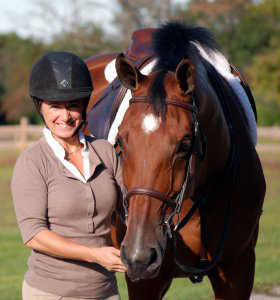 Vicki’s diverse background with horses encompasses over forty years’ experience with several disciplines, ranging from riding racehorses, dressage and event horses, to training and showing hunters, while working and riding for many of the area’s top professionals. 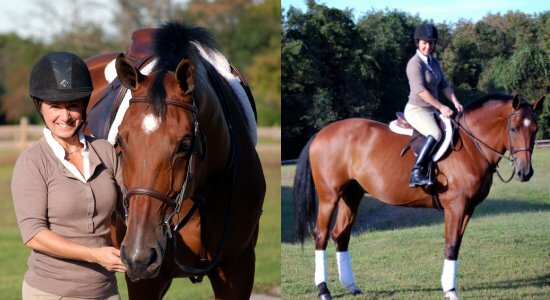 Here at Quiet Victory Farm, Vicki has come full circle, back to her true passion for cultivating the perfect show hunter and rider! Do you like to win? Take your best skills on the road with us, compete at your highest level and bring home that blue ribbon! 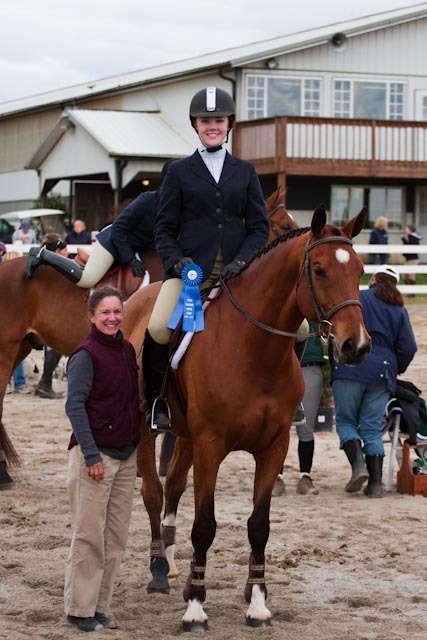 Trainer Vicki Peters is well known for producing Champion horses, ponies, and riders, year after year, show after show, proudly helping clients reach their goals! Spring is Here! Reserve a Stall Today! We have a few stalls available now!